This is it folks - the last Christmas Gift Guide post for 2015! 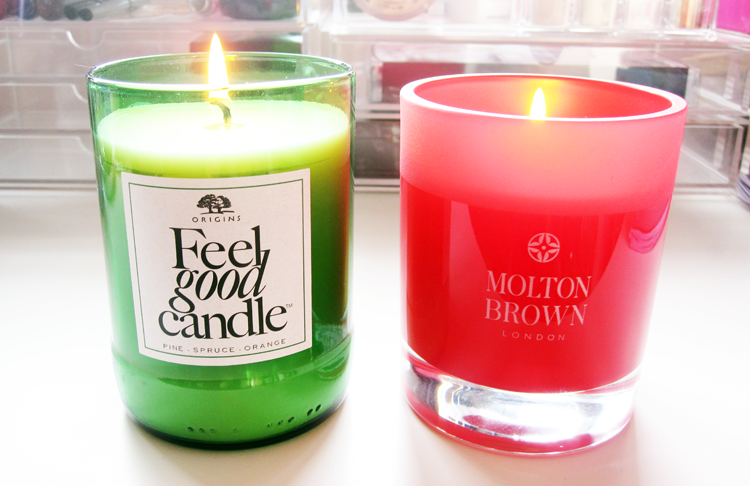 To finish the series off, I have two wonderfully festive and ultra luxurious candles from Origins and Molton Brown to really spoil someone with. For those who love the 'Christmas in a Candle' scents, Origins' Feel Good Candle is definitely one to pick up. It's made from 100% soy wax, features a 100% cotton wick and comes presented in a festive green glass which has been recycled from a wine bottle. It's a very fresh Pine based scent (which I absolutely love) but it has added Spruce for extra woodiness and Orange blended with it to give it more of a warming Christmas vibe. In my opinion, it smells amazing and the scent throw is excellent. This candle is a celebration of the 25th anniversary of Origin's Give & Give Back campaign with Global ReLeaf, which means that for every candle purchased, Origins will plant a tree on your behalf. They're also running an added little GWP where you'll receive a free eco-chic tote bag with every purchase. Feel good indeed! Seasonal limited edition products are always something that I keep an eye out for when shopping because they feel a little more special, so they make great gifts. 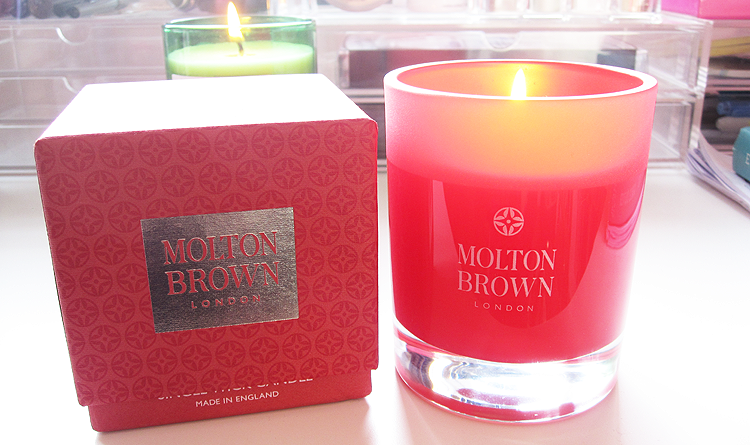 This candle from Molton Brown is from their Festive Frankincense & Allspice collection which was super popular on the blogosphere back in 2013 and MB have finally brought it back for 2015! The best way to describe the scent of this is to call it 'warming'. It has a subtle woodiness with base notes of Vetiver, heart notes of Frankincense and top notes of Allspice, and makes any room instantly smell inviting and cosy. It's the kind of scent that you'll want to burn on Christmas Day with a mulled wine in hand and Downton Abbey on the TV. Pure bliss.